The media have been harassing Dragon ever since he accidentally killed Solar Man and this unwanted attention is getting him increasingly frustrated. His lawyer advises him to remain calm and in control the entire time so that the “savage” adjective assigned to his name is not played up in reports. 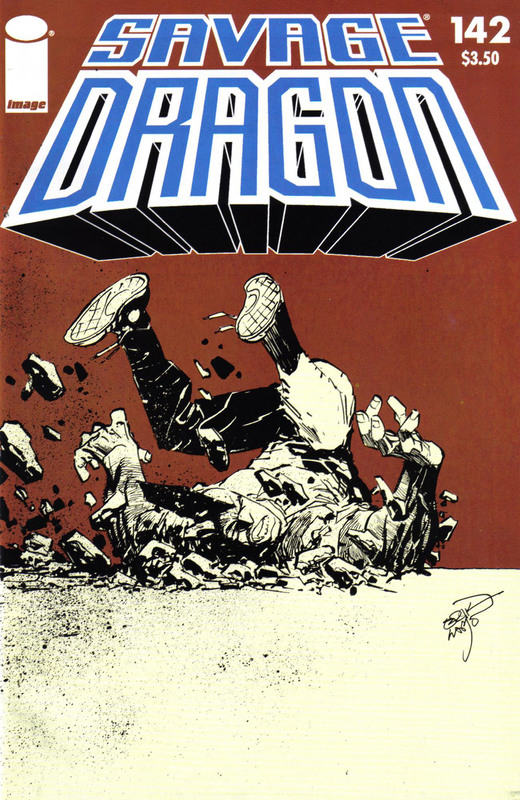 Dragon then discovers that he will not be prosecuted over Solar Man’s death as no jury in the world would convince him for stopping a rampage that had already killed dozens of innocent people. This good news is reported to Frank Darling but Dragon remains a figure of hatred to the media and many of the general public. His book sales have slumped which has left him low on cash so Frank offers him a job with the Chicago Police Department. The Vicious Circle is on its way back once again and the Danger Zone remains in a state of chaos. Dragon thanks his friend for this offer but cannot commit to the police as he is still dedicated to locating his missing wife. Frank points out that it has been close to three years since Dragon last had contact with Jennifer Dragon. She could very well be one of the millions of people that died during Mister Glum’s reign over Earth as Jennifer would have likely made herself known by now. Dragon is confused by the whole affair as the family background of his wife has made things more difficult with the existence of a previously unknown mother and two potential brothers. A superhero named Megaman bursts into the apartment where he attacks Dragon, hoping to avenge the death of Solar Man. He punches his target out into the street and repeatedly strikes at Dragon, moving the fight up onto rooftops and then down into the subway system. Megaman ignores the declaration of innocence from Dragon and continues his assault. They fall onto the tracks where Megaman ends up striking the third rail and is electrocuted to death in the process. In the Danger Zone, a hooded figure leaps into action against the Demon Dogs and using throwing stars to fend off the villains. He then leaps over a punch from Fire Lord that takes down one of his allies before another accidentally blows himself up with his flame thrower. The three remaining Demon Dogs attempt to flee but are decapitated by a booby trap made up off of wire. Red Giant awakens and crushes Fire Lord before she and Star thank their savior. Battle Girl and Alex Wilde arrive just in time to witness the shocking events before Alex recognizes the mystery hero as Chris Robinson. Malcolm Dragon and his companions crash-land on Glum World after he looses control of their stolen rocket. They begin searching for Ba-Goom who they have been told has been to Earth before, indicating that a means of transport back home is close. Mister Glum reveals himself before assaulting the youths, shrugging off their counter-attacks. He knocks out the children and plans to kill them all but Angel Dragon pleads with him to spare their lives.